This month’s cocktail is the perfect summer serve. Bartenders Alex Warren and Tom Banks developed this cocktail together: it’s named in Spanish for it’s Mexican heritage (the tequila), with Baya (berry) for the garnish and Díscolo (wayward) for Alex’s Instagram handle, @waywardson64. – Mix the tequila, sugar syrup and lemon juice in a large glass with ice. 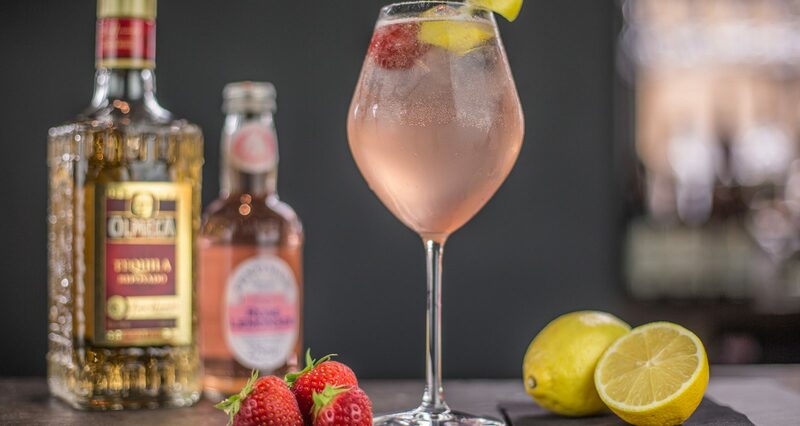 – Pour into a wine glass and top up with the rose lemonade. – Garnish with the strawberry, lemon peel and a dusting of icing sugar.